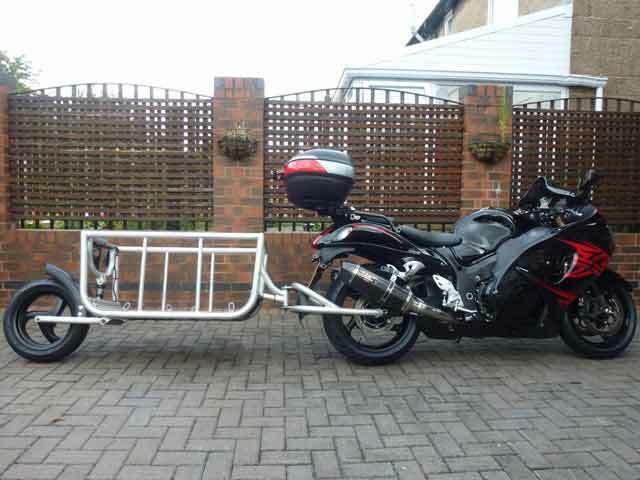 Got a sport bike and would like to get some more riding time in? 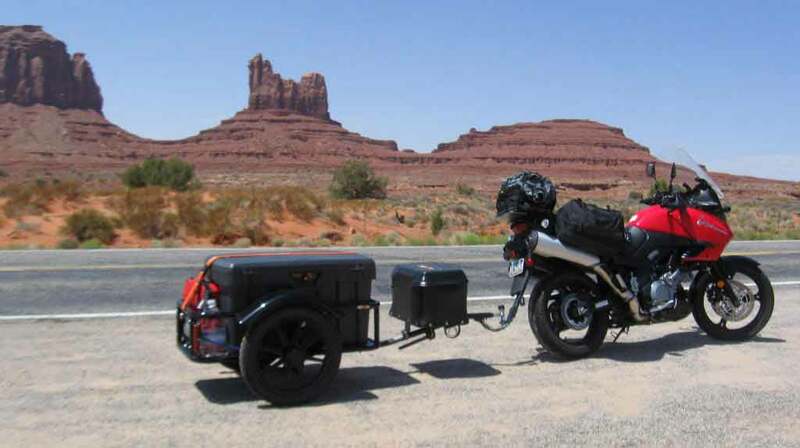 Pull a motorcycle trailer and go where you want, when you want. 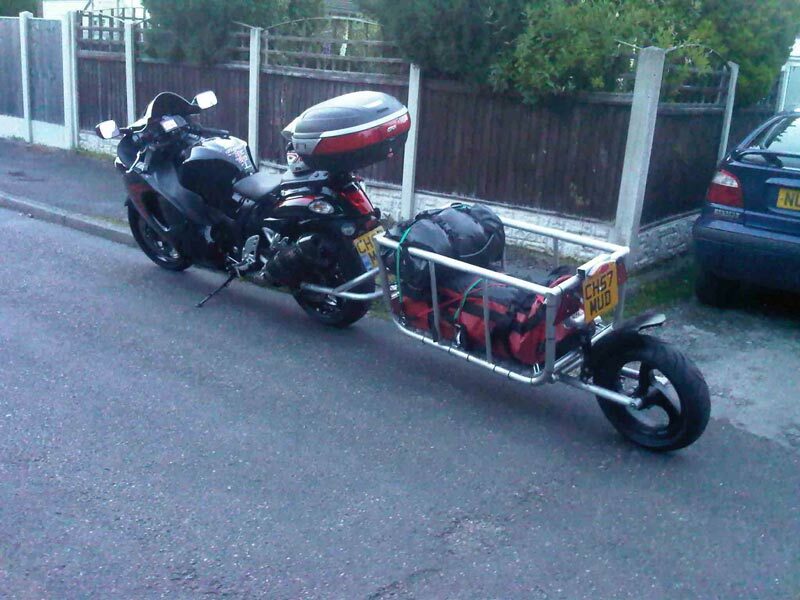 No need to change your riding style, bike, or load up the back end of your motorcycle. Just hook up a trailer and go Get Lost. 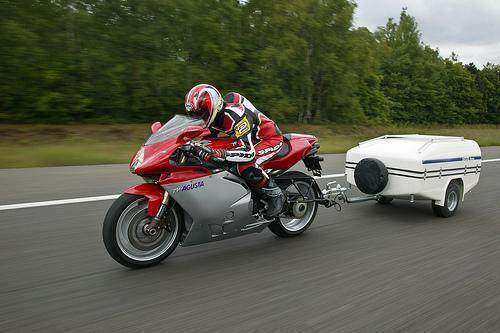 Can you take a turn at 90 mph with a trailer? I don’t know, but I wouldn’t suggest it. You can, however, ride your bike on those trips that you originally ruled out due to lack of space. 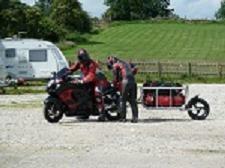 The single wheeled trailers are attached with a fixed setup and lean into corners with your bike. 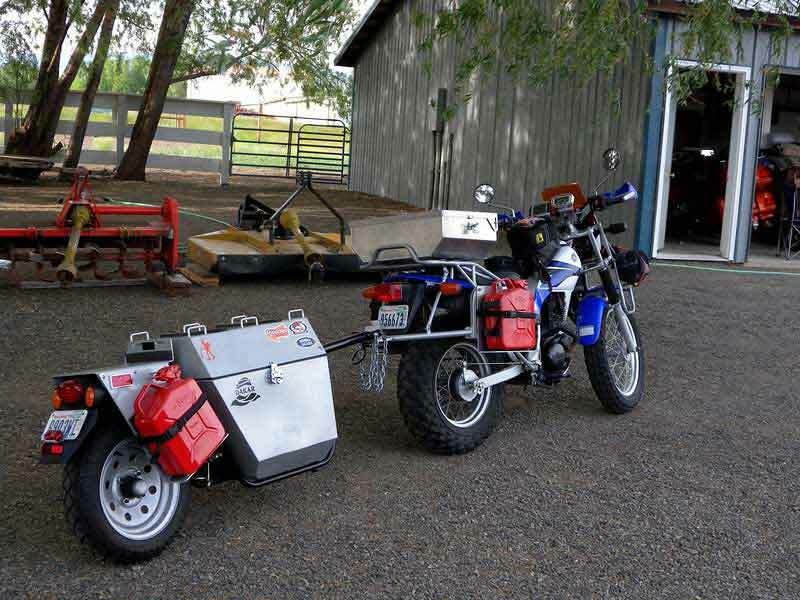 This means that whatever you put inside (especially coolers) need to be fixed also as you don’t want any weight shifting around on you pulling your tail in the opposite direction that you should be leaning. Yup, 4 day weekends are back on the drawing board for you.